When you visit a Tempe Smile Design dentist, you can be confident that you are receiving care from someone who is passionate about the health of your teeth. 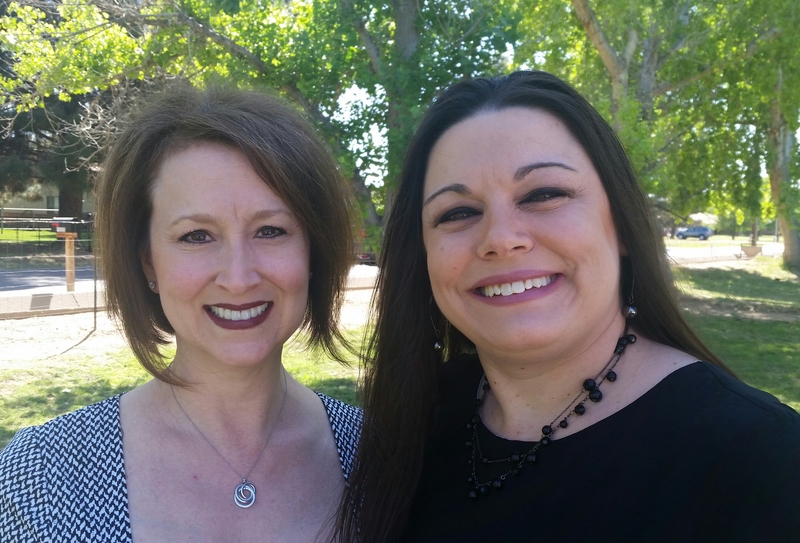 Dr. Stacy Tracy and Dr. Roxane Huber are both dedicated to making sure your experience is as comfortable and relaxing as possible, all while providing the highest standards of dental patient care. The Tempe Smile Design practice is committed to the idea that an informed patient is a confident patient, so they will work with you to ensure you understand all potential procedures and plans of care before any work is completed. The best leaders or specialists in any profession often stem from personal experiences formed in childhood. Dr. Tracy's path to dentistry is no exception. After her teeth were damaged in a childhood incident, she spent a great deal of time experiencing the many facets of the dental profession; particularly reconstructive dentistry. The confidence Dr. Tracy gained after completing the reconstructive process combined with a newfound curiosity in the profession led to her lifelong passion for the field of dentistry. Dr. Tracy's goal is to give all patients the care they need in order to restore the confidence they deserve. In addition to post-graduate training, Dr. Tracy is an active member of numerous dental associations, including the Academy of General Dentistry (AGD), the ADA (American Dental Association) and the AzDA (Arizona Dental Association). Her membership is an effective way to ensure she is always equipped with the most current dental practice information and can pass modern plans of care to her patients. Through continuing education, as well as philanthropic work for organizations such as AZ Mission of Mercy (AZMOM), Dr. Tracy’s passion for dentistry is evident in all aspects of her life. A native of the Midwest, Dr. Roxane Huber grew up in Bismarck, North Dakota and attended the University of Minnesota for her undergraduate studies and dental school training. Dr. Huber graduated from the University of Minnesota School of Dentistry in 2004. Shortly after graduation, she relocated to Arizona and joined Dr. Tracy at Tempe Smile Design eight years after the practice first opened. Since 2006, Dr. Tracy and Dr. Huber have worked together to build a practice that was designed to put patient care at the forefront. Dr. Roxane Huber also participates in several dental-related charity events each year including the AZ Mission of Mercy (AZMOM). The Tempe Smile Design dentist team of Dr. Stacy Tracy and Dr. Roxane Huber brings a level of excellence in patient care that most patients are not accustomed to experiencing. There mutual commitment to patient best practices, ongoing technological, technique updates, and relationship building with every patient sets them apart in the field. If you are ready to experience the difference a team of dentists truly committed to customized patient care can bring, contact the Tempe Smile Design office today to schedule a consultation or to ask any questions you have about your smile. The entire staff values privacy and collaboration and is looking forward to helping you regain a healthy, lifelong smile.